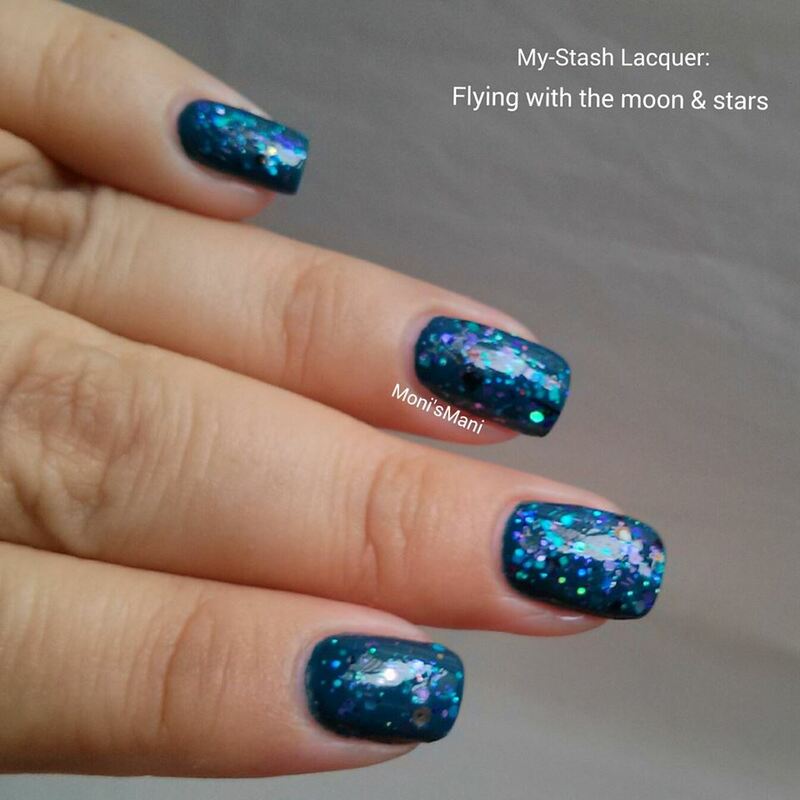 Last week I was very lucky to receive these lovely polishes from My-Stash Lacquer. I always get so excited when I receive polishes to review because love discovering new brands and being able to tell you about them! The first I have to say is that I am a sucker for cute packaging, LOVE details because they somehow let me know of the amount of love and dedication the company (and person, in this case Danielle) puts into their product. There was no mistaking this package, why? Because it came with a cute little stash right on the front of the box! Lol it was so cute!! Then the little stash box you see in the pic was wrapped in stash paper AND there was a lovely stash note!! I LOVE THAT!! Sorry, but I do! I’m a big sucker for details of this sort and unfortunately not all Indies do it! 🙁 boo! The two polishes inside were lovely, let me introduce them to you! 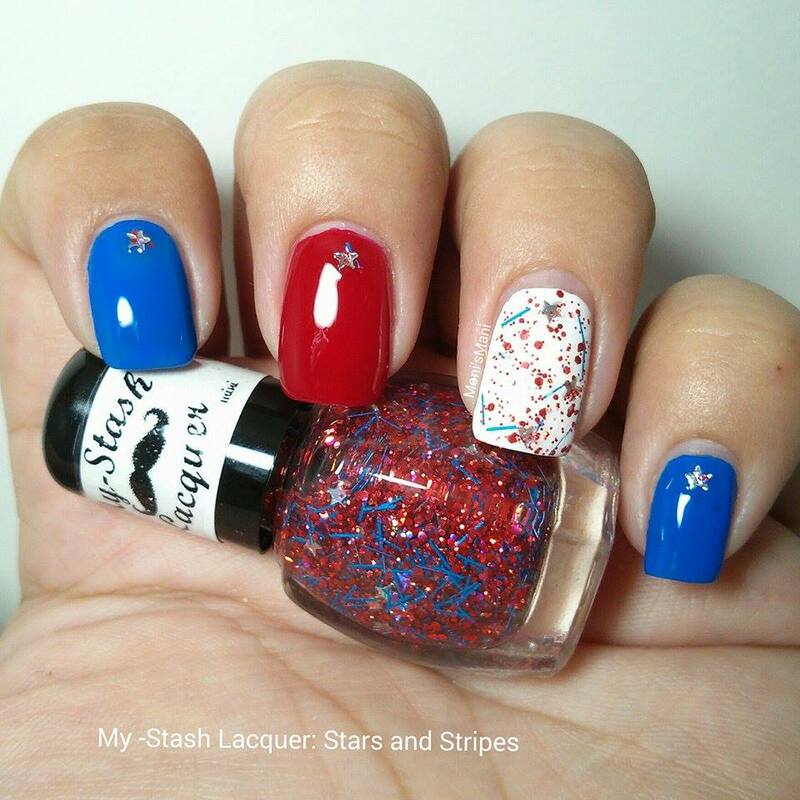 *Stars and Stripes is absolutely PERFECT for this time of year here in the states, I did a very simple Flag Day Mani using it because I felt like this topper did all the job itself! 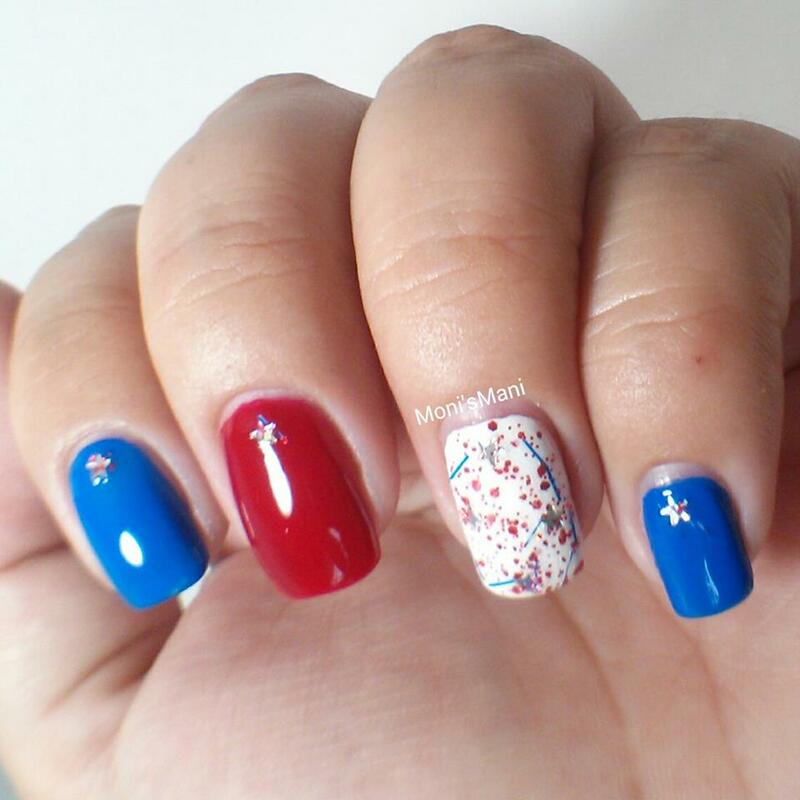 All I had to do was put it over some white and then pick a couple of stars from the brush and place them on the rest of the nails. 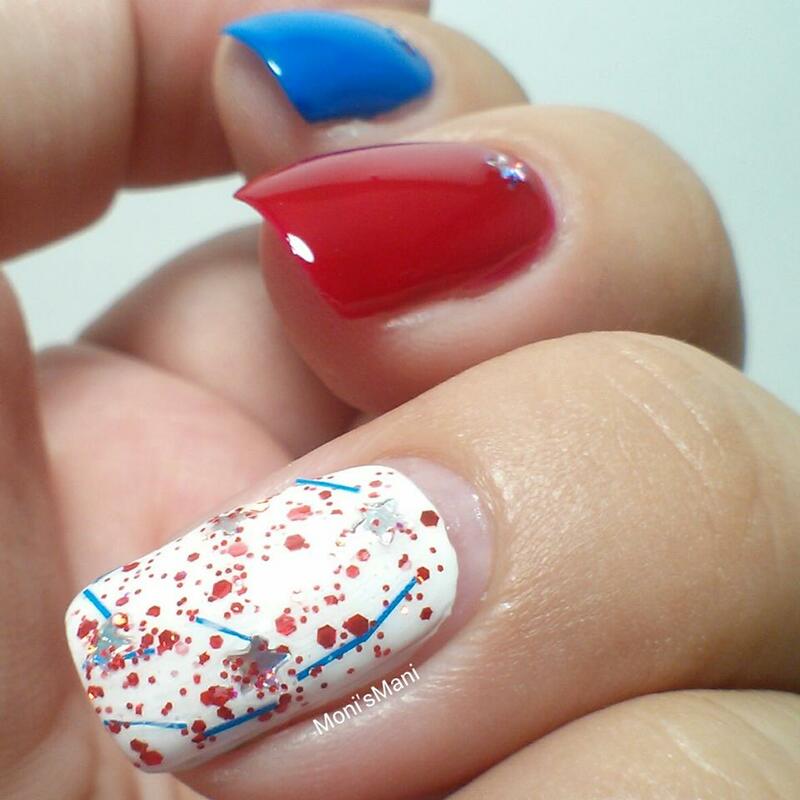 If you don’t have it, you NEED it for your Fourth of July mani! the application is fast and easy, you get a little bit of everything with every stroke and it’s not gloopy or hard to dry. 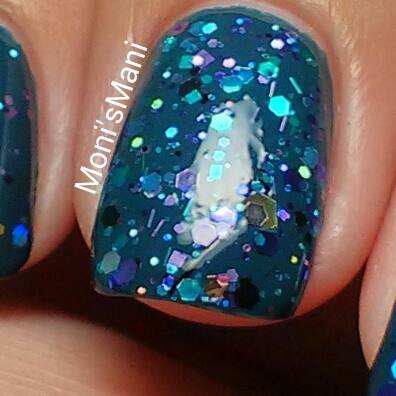 Here’s some pics of the mani, hope you like it! *Second up is Flying with the Moon and Stars, this one is def my favorite and so versatile!! I absolutely loved it over OPI’s Ski Teal We Drop but I cannot wait to try it over black or even a sky blue or baby blue. I’m sure it’s gonna look gorgeous! 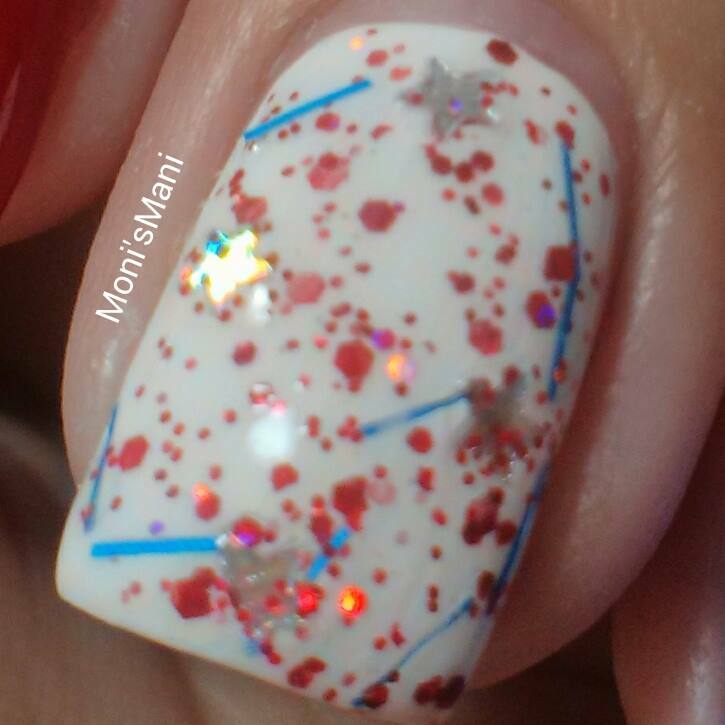 This topper made my nails sparkle and twinkle just like a night sky. The name is absolutely perfect for it! Here is the swatch; I hope you love it as much as I did! So, what did you think? which one is your favorite? Please comment below, I love to read you! Thank you for reading! And thank you My-Stash Lacquers for trusting me with these pretties! 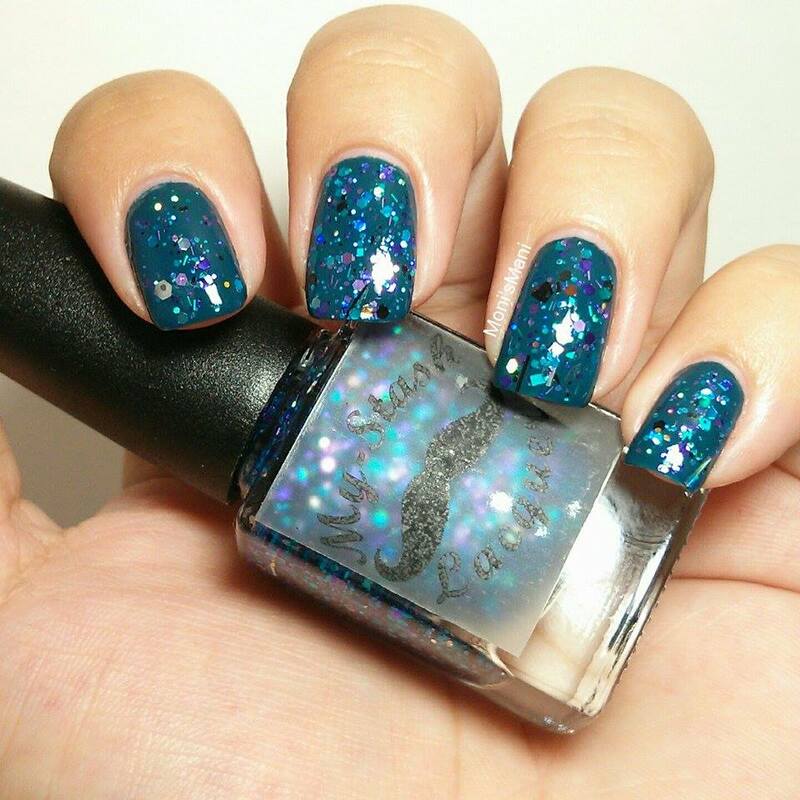 My-Stash lacquer is an indie- polish company specializing in glitter polishes. All of my polishes are 3-free (This trio of substances consisting of a known carcinogen (formaldehyde) and two reproductive toxins (dibutyl phthalate or DBP and toluene). All polishes are mixed to high standards and are tested before selling, mainly to check for bleeding or curling of glitters and any “settling” that may occur. 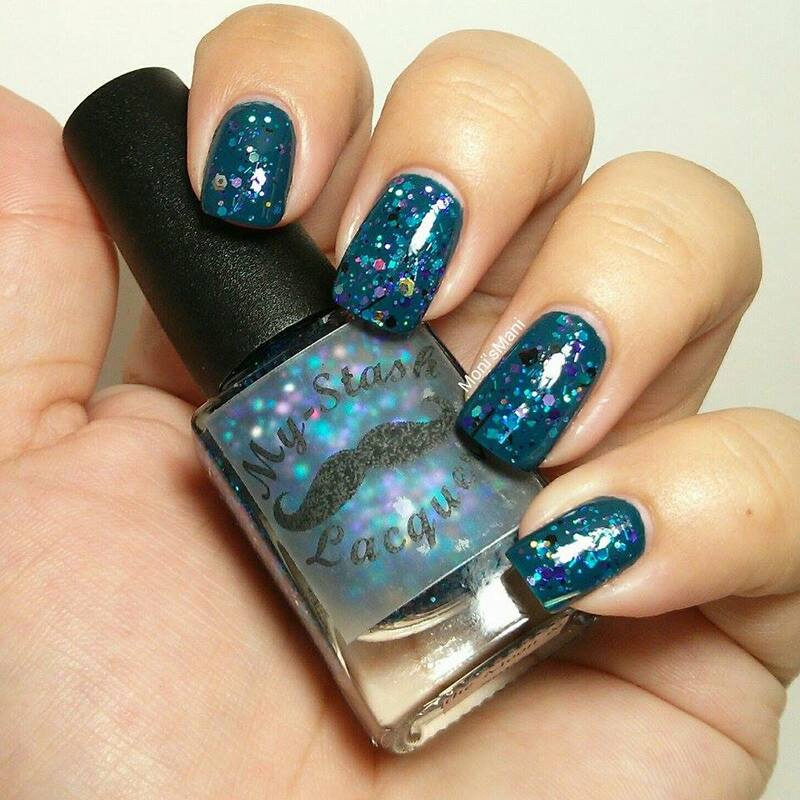 Danielle, the founder of My-Stash Lacquer is a certified nail technician, licensed in the state of Missouri Since 2004.